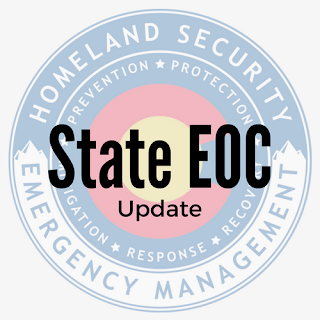 The State Emergency Operations Center (SEOC) was virtually activated at e:30 p.m. today in support of the statewide winter storm event. The SEOC is virtually activated at Level III - monitoring ongoing events virtually only. Emergency Response Coordinators (ERC) and state agency representatives do not need to report to the SEOC and should continue monitoring virtually and be prepared to report as requested.